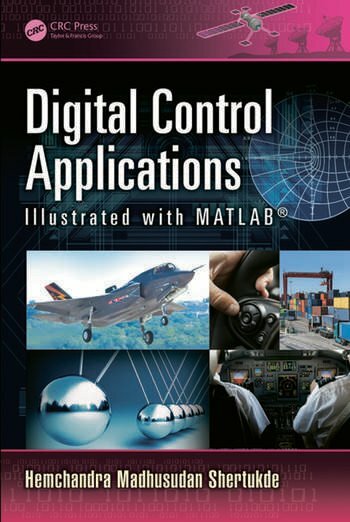 Digital Control Applications Illustrated with MATLAB® is an ideal textbook for digital control courses at the advanced undergraduate and graduate level. Hemchandra Madhusudan Shertukde, SM’92, IEEE, holds a B.Tech from the Indian Institute of Technology Kharagpur, as well as an MS and Ph.D in electrical engineering with a specialty in controls and systems engineering from the University of Connecticut, Storrs, USA. Currently, he is professor of electrical and computer engineering for the College of Engineering, Technology, and Architecture (CETA) at University of Hartford, Connecticut, USA. He is also senior lecturer at the Yale School of Engineering and Applied Sciences (SEAS), New Haven, Connecticut, USA. The principal inventor of two commercialized patents, he has published several journal articles and written three solo books. Dr. Shertukde is the recipient of the 2017 IEEE EAB/SA Standards Education Award, 2017 IEEE-PES CT Chapter Outstanding Engineer Award, and the 2016 IEEE Award as the Chair of the Working Group C.5.159. He continues to be in leadership positions for several other Working Groups enabling IEEE-TC to publish different standards and User's Guides for Electrical Power Transformers. 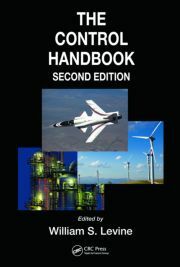 "This book is an asset for practicing controls engineers as well as students of advanced control systems courses. Books on this topic have been usually quite theoretically oriented, and a common complaint of the students is that they do not get a practical flavor after going through a course, or even multiple courses. The author brings a fresh approach, backed up by decades of teaching and professional experience, which is oriented toward practical application. I look forward to having this book on my shelf." "The author provides a mathematically detailed yet accessible presentation of topics in digital control theory. 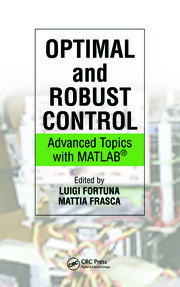 After introducing digital control systems and reviewing the modeling and performance of discrete systems, several chapters are dedicated to different design methods. These methods include discrete equivalent, direct, state-variable feedback, Lyapunov, and optimal. Throughout the book, the emphasis is on application of the theory rather than on theorems and abstract mathematics." 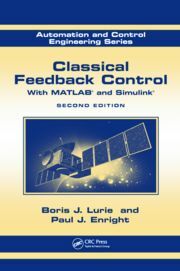 "This book has an excellent flow of material for teaching design of digital control or computer control of dynamic systems. In particular, and following the well-organized design chapters, the microprocessor/computer implementation hardware and software aspects in chapter 9 are very valuable, well presented, and certainly well appreciated in this book. Chapters 1 through 4 provide clear and concise presentation of prerequisite material/knowledge for a digital control system design course, and could be very well appreciated in a previous senior-level control design course. The design chapters 5 through 8 progress effectively with the right sequence of techniques, starting with design by digital equivalents, followed by transformed domain techniques, and then moving into the time domain state space design including state estimators both full order and reduced order. Using MATLAB® software and simulations for examples and case studies provides students with valuable practice opportunities for the material presented throughout the book. This fits exactly in how I teach my first in a two-graduate-course sequence 'Computer Control of Dynamic Systems' here at California State University, Chico (the second is 'Adaptive Control Systems')."